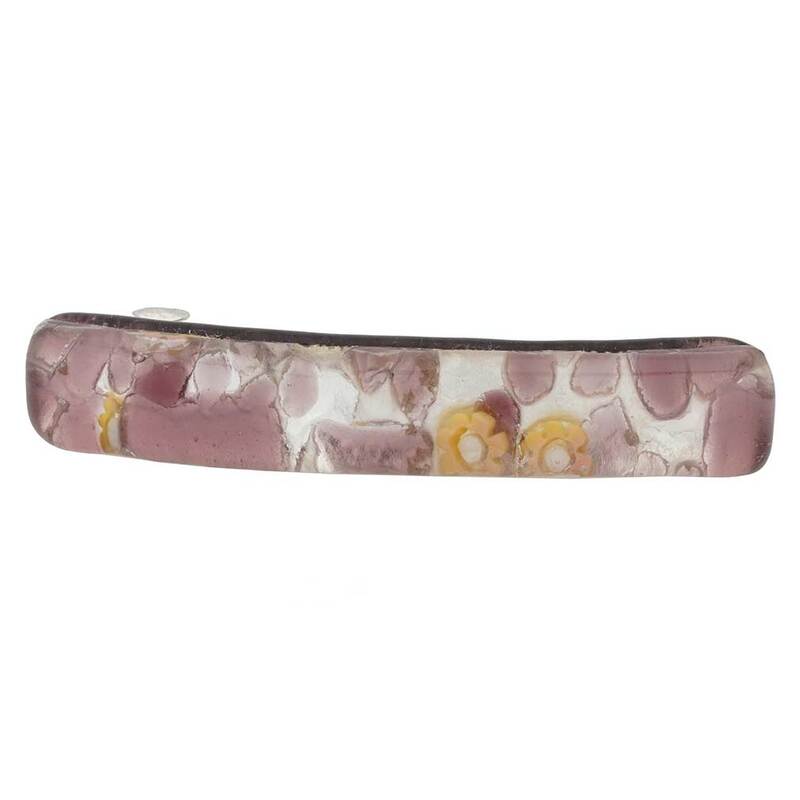 Complement any hair style and outfit with this elegant Murano Glass hair clip, featuring beautiful colors and infused avventurina sparkles in the spirit of Venice's opulent beauty. 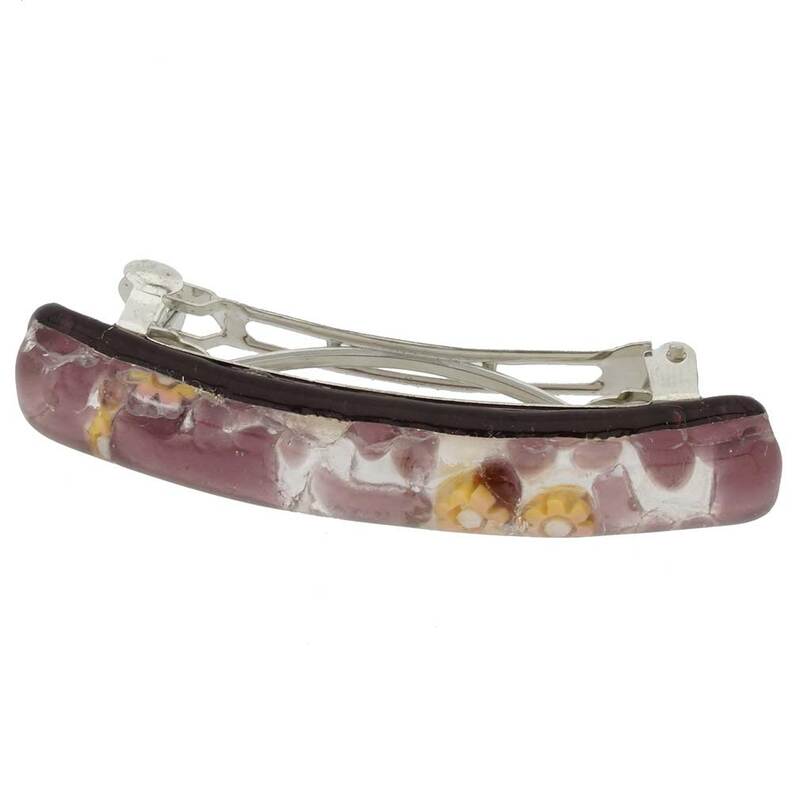 This attractive authentic Murano hair clip is a great way to spice up your look with Italian fashion-forward style and Venetian artistic heritage. You can even combine this hair clip with our other items from Venetian Reflections Collection collection such as a ring, bracelet, pendants and earrings for a well-coordinated look. Love this light daisy barrette. 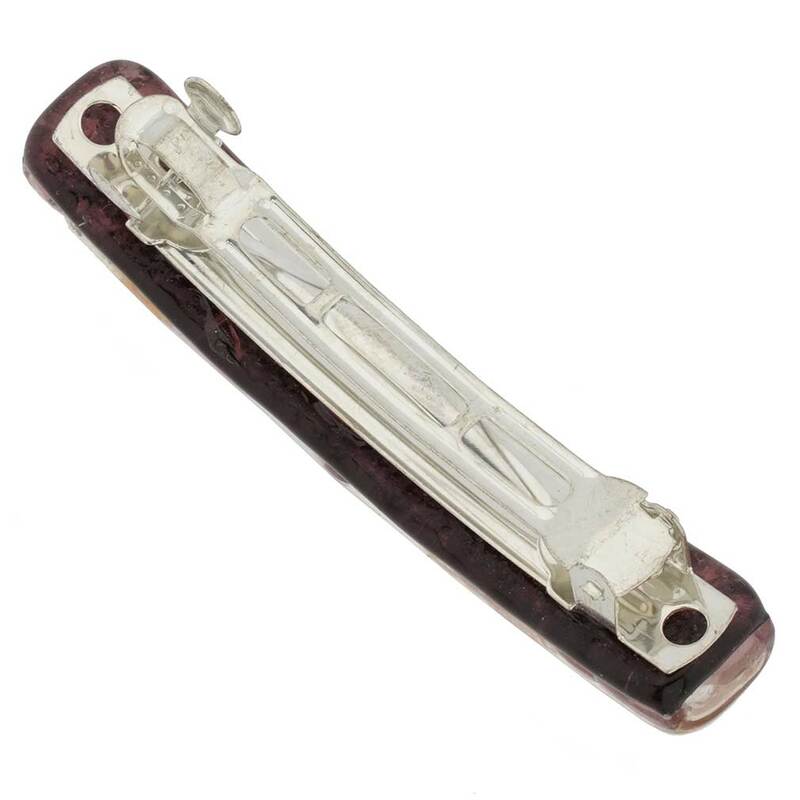 Well made and gives a bit of style different from this old drug store boring clips. I like this clip and this is my second one since first one the clip came unglued from the main. Maybe in a future it can be made a little stronger. I also lke the small one and wish you would make more with dark color with soft accent. Thank you for taking your time.